Directed by Kim Sung-ho who wrote the screenplay with Shin Yeon-shick based an American children's book by Barbara O'Conner. It's a delightful and touching adventure of a little girl who plans a robbery to get what she wants which is a place to live. This South Korean production is full of fun and whimsy with some poignant moments of how tweeners see life and the adults around them. Ji-So (Lee Re) lives with her mom Jung-Hyun (Kang Hye-Jung) and little brother Ji-Suk (Hong Eun-Taek) in the family's pizza van. The father took off one day and left them with no money and no place to live when the creditors came to take it all back. Mom tries and does her best getting a job waiting tables at Marcel's, a fancy restaurant. A former boyfriend Soo-Young (Lee Chun-hee) manages the place for his rich aunt Kim Hye-Ja. The aunt is obsessed with collecting pieces of art and the nephew is upset thinking the money from her estate will be gone by the time he gets it. Ji-So becomes upset when her best friend Chae-Rang (Lee Ji-Won) follows her back to the van. Ji-So has to confess that she lives there and will understand if she doesn't want to be friends with her. But Chae -Rang promises not to tell anyone and they become confidants. When a teacher asks Ji-So if she is having a birthday party at her house like her other classmates do, Ji-So stresses that she has no where to live and doesn't want anyone to know. The girls see an add at a Realtor that says $500 per square. Ji-So and Chae-Rang thinks per square is a location like Times Square. Ji-So finds that number everywhere and considers that it's a sign. So she figures out a plan to get the money when she sees an ad for a reward given for finding a lost dog. The elaborate plan includes clever stickers, cut outs and popups in her notebook. The girls decide to take the dog that belongs to the rich woman who owns Marcel and bring it back to her for the award. What they don't know is that the greedy nephew is in ca-hoots with con-man unbeknownst to him of course. F.T. Island's idol Lee Hong-Ki plays Suk-Goo a pizza delivery guy who gets blackmailed by Ji-So to help steal the dog. 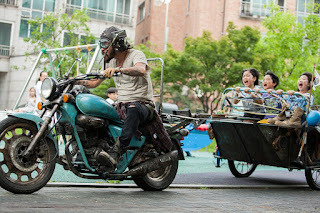 Choi Min-Soo is the three fingered homeless guy who builds a dog house for Wol-Ri the dog (Gary). What is interesting is how these 10 year old girls wander all around the city with no supervision. That is something that you don't see in American cities. Lee Re is wonderful as the little girl who just believes her father is lost and will come home when he finds his way. She figures that is why her mother doesn't move far from her school so the dad will know how to find them. Mom tries her best to be positive and feels badly when Ji-So acts out her frustrations with their living predicament. The little brother Ji-Suk is wonderful as the one who brings reality to the nuances of the heist with helpful and important questions for the girls to consider. 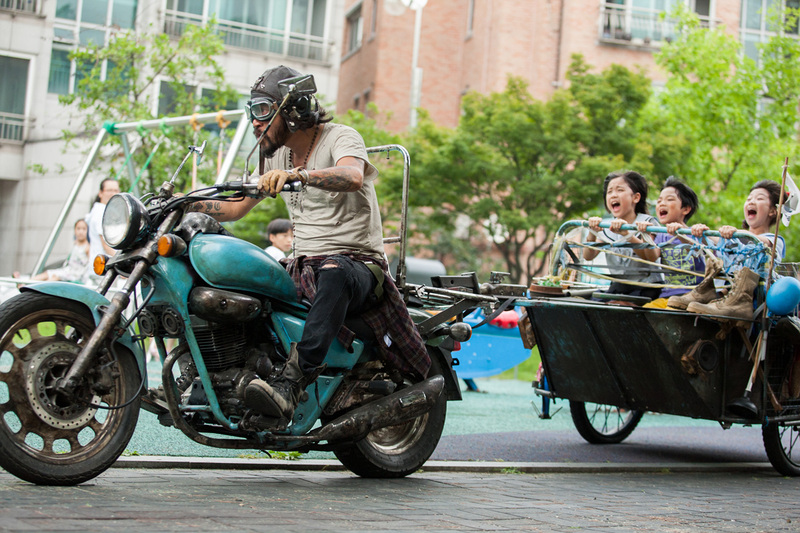 This is a great family film, however non-Korean speaking children will need to read subtitles.